Chococurb provided product for an honest review and for a giveaway. The best gift for a chocolate lover? 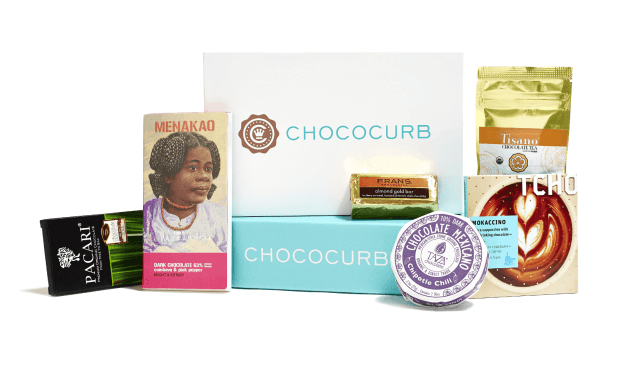 A subscription to Chococurb, a monthly chocolate delivery service. Most people would be delighted to receive a gift of chocolate, but where Chococurb truly shines is by digging a little deeper into flavor profiles. Nuts? Salty or savory? Crunchy or smooooooth? 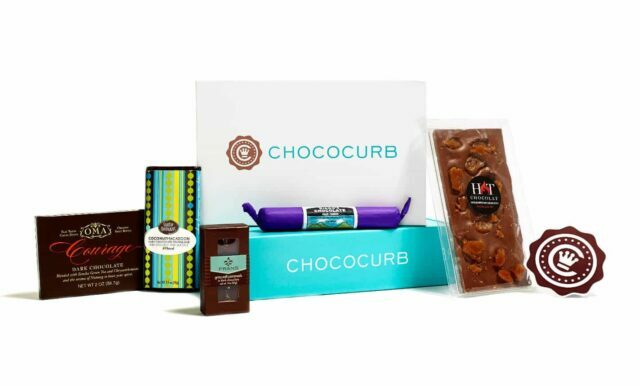 Chococurb customizes each box based on your preferences, and sends between 5-7 products in each box for you to try. The brands range from local, hard-to-find chocolatiers, to luxury national brands to international finds. I personally love salt and sweet. Salty, crunchy and nutty. 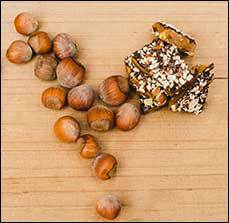 Right now, as I’m typing this review, I’m enjoying a nugget of Holm Made Oregon Hazelnut Toffee with Himalayan Pink Salt. Last Friday night, while Scott took the boys to a card game (noooooo, it’s not poker, they went to some crazy Magic the Gathering thing and the cards have dragons and wizards), I enjoyed a cup of Treehouse Cherrywood Drinking Chocolate, single origin dark chocolate with Jacobsen cherrywood sea salt. Absolutely divine. I love that the boxes are personalized, based on what I like in chocolate. Of the 7 products in my box, 5 of them were brands that I’d never even heard of – we loved not just enjoying the goodies, but also going online and finding out more about these artisan chocolatiers. Of course, if you really love an item, you can always order more. Sign up for Chococurb or Chococurb Mini. Giving away 1 box of Chococurb.